Some Google employees were traveling abroad and were trying to get back to the U.S. before the order took effect. The company asked them to reach out to Google’s security, travel, and immigration teams for assistance, according to a person familiar with the situation. The person asked not to be identified talking about internal company communications. The employees in question normally work in the U.S. but just happened to be abroad either on work assignments or vacations. The concern is that even if Google staff have valid visas, they may still be at risk if they’re from one of the seven countries and they’re outside the U.S. when the order kicks in, the person also said. 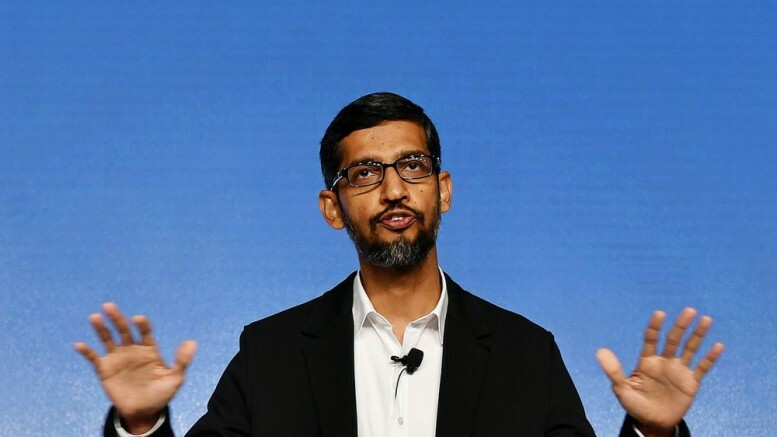 One employee rushed back from a trip to New Zealand to make it into the U.S. before the order was signed, Google’s Pichai wrote in his memo. “No one is really sure whether a green card holder from these seven countries can return to the U.S. now. It’s fairly clear that an H-1B visa holder can’t,” Benach said. 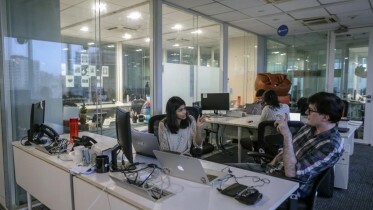 The H-1B lets U.S. companies employ graduate-level workers from other countries in technical occupations such as technology, engineering and science. “If anyone in these situations has the misfortune to have gone abroad recently, it’s a treacherous moment, possibly for green card holders too,” Benach said. Facebook Inc. Chief Executive Officer Mark Zuckerberg said Friday he was “concerned” by Trump’s recent moves to restrict immigration. Be the first to comment on "Google Recalls Staff to U.S. After Trump Immigration Order"